Jess sent me the details of this month’s Success Story and as I investigated Ali’s incredible textile business, I was so enamoured with her designs, colour and the beautiful botanical inspiration instilled in each. This is a creative business taking a different approach to those who make each item individually by hand and Ali has some great insights to share about her own creative path. Can you take us on the journey of your creative business so far? I was always very drawn to creative subjects at school, so decided to study art when I left. First I enrolled onto a Foundation course where I studied Fashion, Fine Art, Product Design and Graphic Design. However, I fell instantly fell in love with Textiles and continued on to Degree Level. After a total of seven years studying I bagged myself a BA (Hons) Degree in Multimedia Textile Design. After a few years working in the textile industry in the UK (That’s where I’m originally from) I took a much needed break from all things creative (I became an Aerobics instructor for years – and loved it!!) and my husband and I decided to move to Australia with our 10 month old daughter. Here my creative juices started to flow again and I set up Cheeky Pickle, my first business where I designed and created stitched paper designs, cards and gift tags. I slowly built the business up and learnt lots of valuable lessons (most the hard way!) until I was confident enough a few years later to take my product to trade show in Melbourne- Life Instyle. There I had a fabulous time, made lots of contacts, got my work into many shops all over Australia and made many new business contacts. However, whilst at the trade show it did open my eyes to what I could be doing, what I was capable of and what I really should be doing. 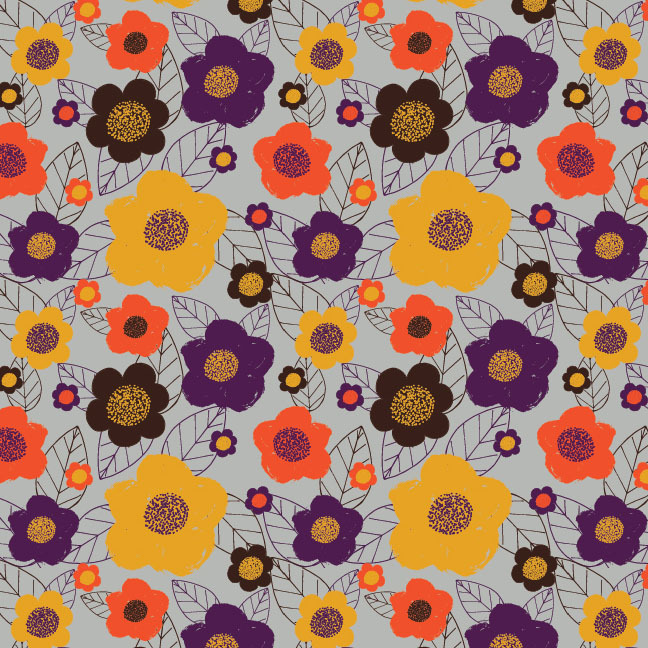 So as soon as I returned from the show I booked myself onto a surface pattern design course and started to do something that I had dreamed of doing for a very long time. I started to design patterns. 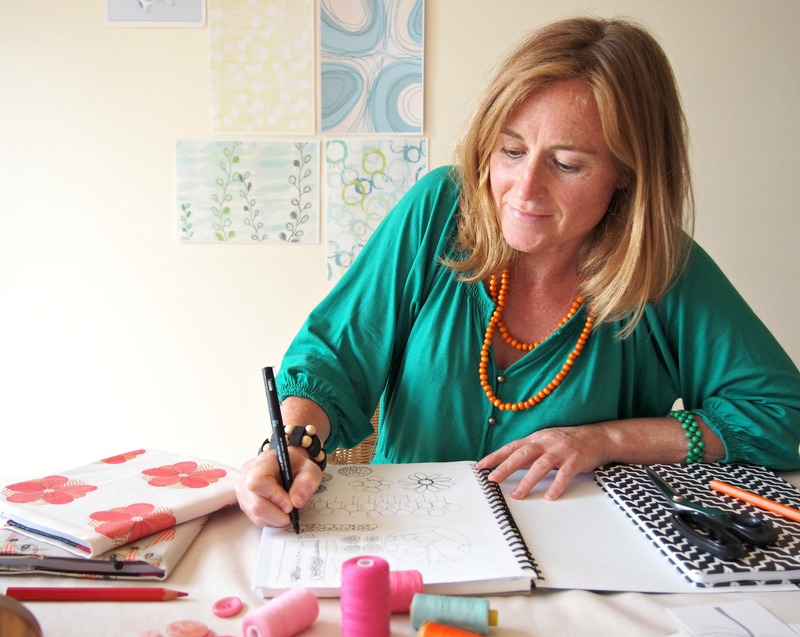 I started that course about 15 months ago and since then I have set up my new business, Ali Benyon Designs, licensed some of my pattern designs with some worldwide companies, published a book with a US publishing group, available on Amazon, designed my own fabric collection and produced my own branded line of products (Toiletry bags, purses, t towels, fabric mirrors, cushions and candles) I am also working for a design agency in the States at the moment. Living my dream you could say! What has been the biggest challenge you have overcome so far in your business? For me it has always been the money side of things and having the guts to just do it. I have many ideas, yet instantly think – “I can’t do that, what if I put lots of money into this idea and it fails. I can’t afford to lose money I don’t have!” So yes, this kind of self talk stops me in my tracks all the time. The times I have been successful have been those when I have gone with my gut and just gone for it! What has been the biggest fist-pump moment for you so far? Two things have made me say “oh my god, oh my god, oh my god!! 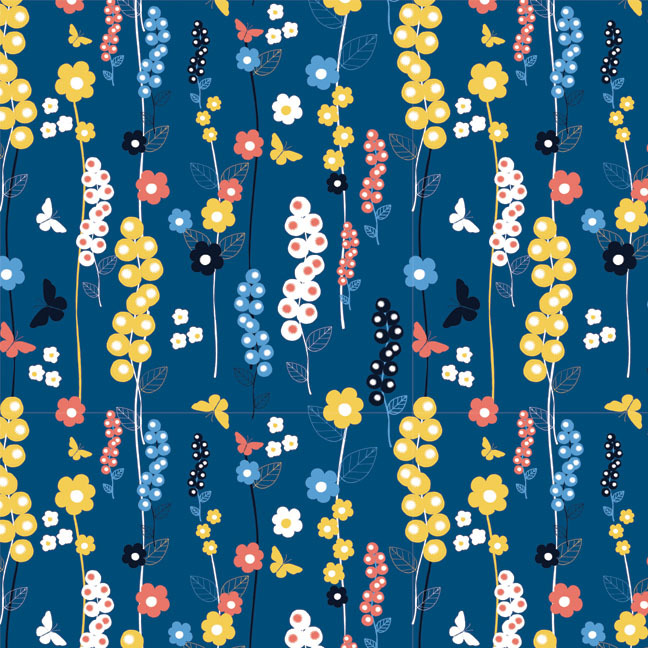 !” The first was when I made it to the final of a big worldwide fabric designing competition which was collaboration between Spoonflower and Robert Kaufmann Fabrics. I got to the top eight designers out of thousands. I hadn’t been designing for that long, so I really couldn’t believe my eyes when I saw I was in the final. 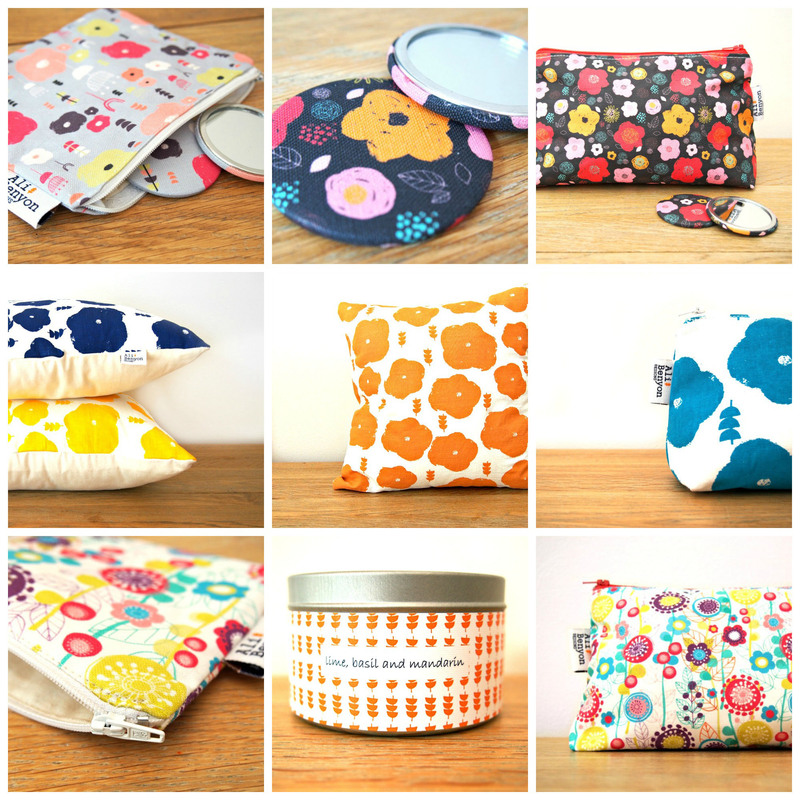 The other fist pump moment was getting onto the Print and Pattern Blog in the UK. 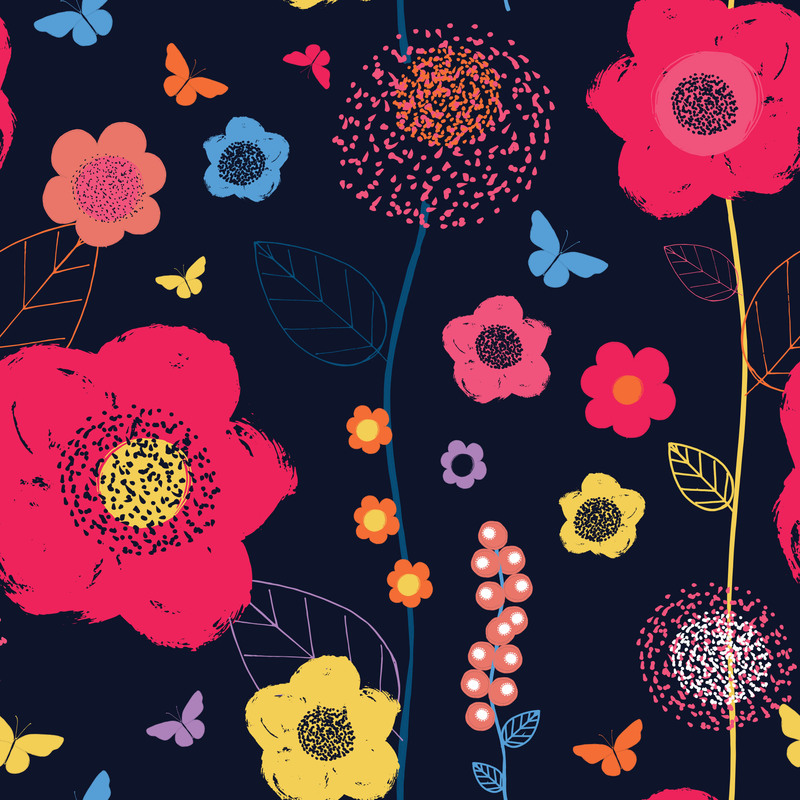 Pattern lovers know that this is the Holy Grail of blogs to be featured on if you are a pattern designer, so once again I was floored when I saw my work on there. Do you ever have doubts as to your future creative direction? Are there things you yearn to achieve, but haven’t yet found time for? If you would have asked me this question two years ago then my dream would have been to be designing and licensing my patterns. But now I am actually doing that, well I want to be the best I can possibly be. I want to be represented by a great design agent or agency and I want to see my work on products worldwide. In my determined little world, time has nothing to do with it. I have a vision, a firm goal and I just go for it. It may take a year or it may take five, it doesn’t matter. It will happen…. Oh yes! And I hate it, it can be truly awful. However, it is just the nature of artistic people and we have to learn to live through the ebb and flow of our creativity. I am lucky that I have lots of different aspects to my business that I can dip into on those “off” days. I design, I write, I have a shop where I need to take photos, keep on top of orders etc. So when I’m not feeling “in a creative mood” I can very easily pick up another part of the business for a few days.So my advice is to take your mind off it and do something totally different for a while. The worst thing you can do is to try and force it. How do you balance your work with the rest of your life- What does a typical day in your life look like? I’m still learning to be honest, but I am getting so much better at it. I am a bit of a work horse, plus I love what I do so I do find it quite hard to switch off and to just stop. However, I have at times worked too hard and I know only too well what my life looks like when I become an obsessive workaholic and it’s really not worth it. So now I have set rules that I do not allow any of my work to intrude on. I exercise five times a week, I stop when I have to pick the kids up from school and priority then is homework, dinner and being a family. If we go away or watch a family movie etc then my phone gets switched off, so I can be 100% present. I also set myself goals each week and tick them off. I find that this really keeps me on track and stops me being totally unorganised. Creative people are distractedly very easily, so I’ve found over the years that I have to keep myself focused and weekly goals seem to work for me. I get up at 6am and have a coffee with my husband. Sometimes this feels like the only time we ever get to chat!! Next I get the kids up and we are out of the house by 8am. After that I do at least an hour’s exercise and I’m usually sat at my desk, working by 11am. I will work solidly for three hours (I know, it’s never long enough, is it?) This is my “in the zone” time and I know I have to get all the important jobs done within this three hour slot. Next is a quick dog walk, shopping, cleaning, pick the kids up, homework, bath, dinner and then usually back to work for a few hours before I flop in front of the TV. Friday night is my favourite design time. I’m relaxed and always seem to produce my best work……maybe the bottle of corona helps a little too! What has been the best marketing move that you have ever made for your own business? When I was running my first business, Cheeky Pickle, I started a really popular series of blogs called the Cheeky Chat Blog. It all started with casual weekly business chats I held on my Facebook page with other like minded business ladies, where we would ask questions and help and support each other. Before I knew it I had hundreds of people turning up to my Facebook cheeky chats each week. It was a crazy time! 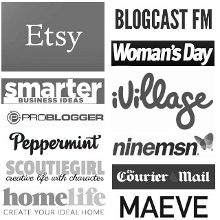 Seeing the rapid success of the chats, I carried the business information through to my blog and interviewed many successful creative business women. I basically asked them – How did you do it? How did you get to where you are today? Most of the interviewees were extremely candid and many of my readers got a lot from the blogs, coming back week after week. My list of subscribers increased, FB likes got bigger and the name Cheeky Pickle was becoming known worldwide. Writing about creative business really sparked something inside me that I didn’t know was there and I found that I loved writing. I think my kind of up front and honest point of view that came across in my writing appealed to a lot of new creative businesses who felt they had somewhere to go to get advice and help. Since these earlier blogs I have written my own e book about how to successfully run a creative business and it was also via the blog that my book publishing group, C&T Publishing found me and asked me to write a book with them. 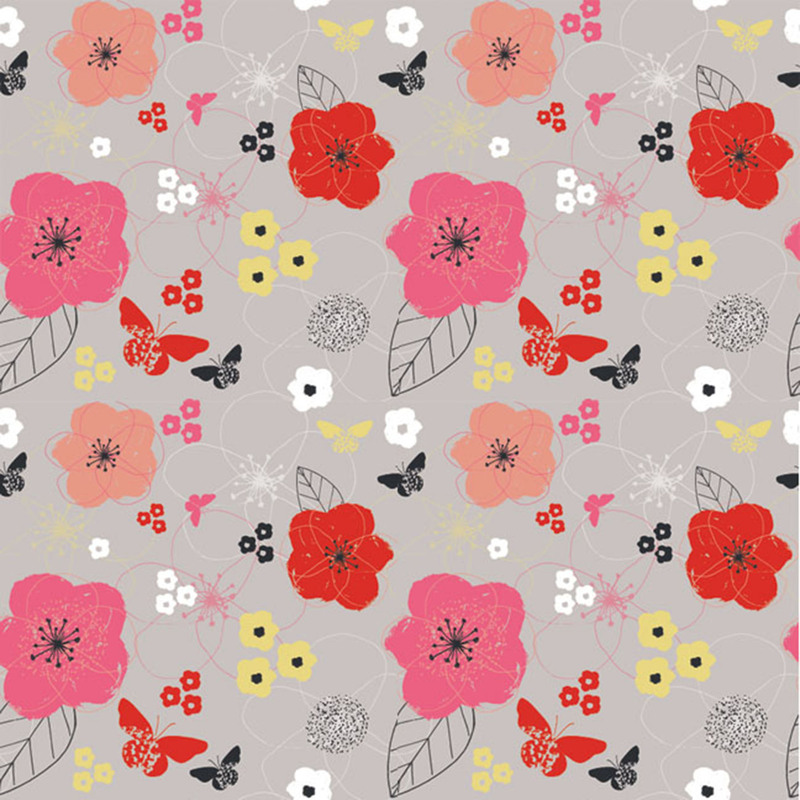 I decided to use the same approach with my new surface pattern design business, Ali Benyon Designs and have interviewed many big names in the surface design field. I find it’s a fabulous way to network, get your name out there and a great way to meet others in your field who have done what you are trying to achieve, which I think is so important in business. I am a very strong believer in networking or as I like to put it – making friends. What is the one piece of advice you’d like to give fellow makers and out running a successful business? Buy my e- book which tells you how to run a successful creative business!! LOL! No, seriously, it’s a big question with a huge answer, but if I had to sum it all up I’d say to be yourself and be super confident in yourself and your product. This confidence will then show through in everything you do. From your product photography, to your marketing, all the way through to how you come across on social media and in emails to your customer. Stand up tall and say I am a designer/jewellery designer/blogger etc. Be proud of who you are and others will start taking you a lot more seriously. I would love to be designing for a well respected design agency or being represented by an agent. I’d love to see my designs on products everywhere and for people to know the Ali Benyon Designs brand instantly. I would also love to see my own product label here in Australia grow much bigger.